Picture snow covered peaks overlooking lush forests, reflecting into serene blue-green lakes. Steam rises from natural hot springs, where people gather to be rejuvenated by the warm water. Charming towns and villages housing historic architecture dot the map. This is just the ideal scene set by the Japanese Alps, a series of three mountain ranges located on the Japanese island of Honshu. Now, imagine yourself enjoying this view while traveling to your next destination on one of Japan’s famous bullet trains. 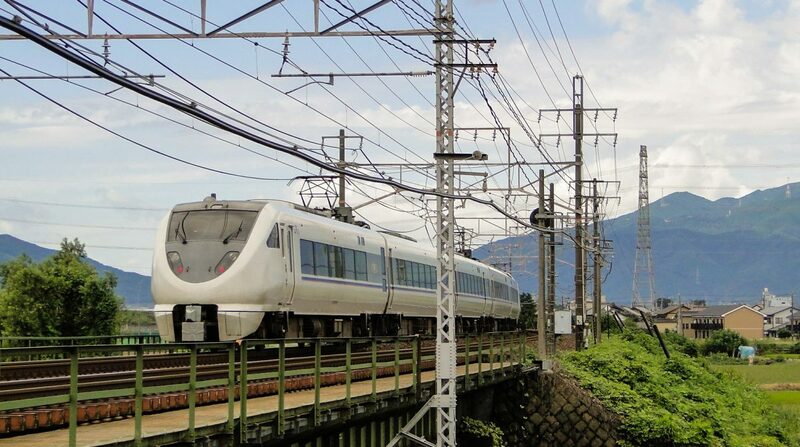 Not only is the trip a scenic one, but the Thunderbird is actually the fastest route from Osaka and Kyoto to Kanazawa, using portions of the Tokaido and Hokuriko lines. This train is a popular option for both business and leisure travelers. The entire fair is covered by the use of your Japan Rail Pass. If you plan on traveling in western Japan, why not give the JR Thunderbird Express a try? This guide is designed to make your trip a breeze. The Thunderbird train routes include from Osaka and Kyoto to Kanazawa and from Osaka and Kyoto to Wakura Onsen, providing access to a number of popular onsen, or hot springs, from stops along the way. You may also transfer from the Limited Express Thunderbird to the Hokuriku Shinkansen to reach Toyama or Kyoto. Wakura Onsen is itself a hot spring resort located on the edge of Nanao Bay. One of the most well-known, high-end resorts in Japan, is has existed as a resort for over 1200 years. All Thunderbird trains stop at Osaka, Kyoto, Fukui, Kanazawa, Hakui, Nanao, and Wakura-Onsen Stations. Most also stop at Tsuruga, Takefu, Sabae, Awara-Onsen, and Kaga-Onsen Stations. Depending on the route taken, a small number of Thunderbird trains make additional stops at Katada, Oumi-Imazu, and Matto Stations. The Thunderbird operates daily from 7:09 AM to 8:56 PM, making as many as twenty-two trips per day. When traveling from Osaka to Kanazawa, expect a journey of about two hours and forty minutes. Travel to Toyama adds an additional forty minutes to the trip. When traveling from Osaka to Wakura-Onsen, expect about four hours of travel time. The Business Thunderbird is an extra Thunderbird train that runs between Osaka and Kanazawa during the busiest times, namely on weekday mornings that follow holidays. The Thunderbird trains typically consist of six or nine cars. Car No. 1 is the Green Car, offering first class seating accommodations. Seats on this car offer more room per passenger – an additional seven inches – as compared to those on other cars. Each seat on the Green Car features a power outlet for charging electronic devices. Cars No. 2 through 4 as well as 8 and 9 are reserved seating, while Cars No. 5 through 7 host non-reserved seating. Car No. 3 also features a ladies only area and a smoking room. The first row of seats in each car has available power outlets. During the day, trolley services provide snacks as well as hot and cold beverages. Most cars feature a western style restroom facility. Each car is equipped with a luggage rack. Any luggage too large for the rack may be left behind the last row of seats with permission from the conductor. When you disembark in Kanazawa, there are endless activities to enjoy. 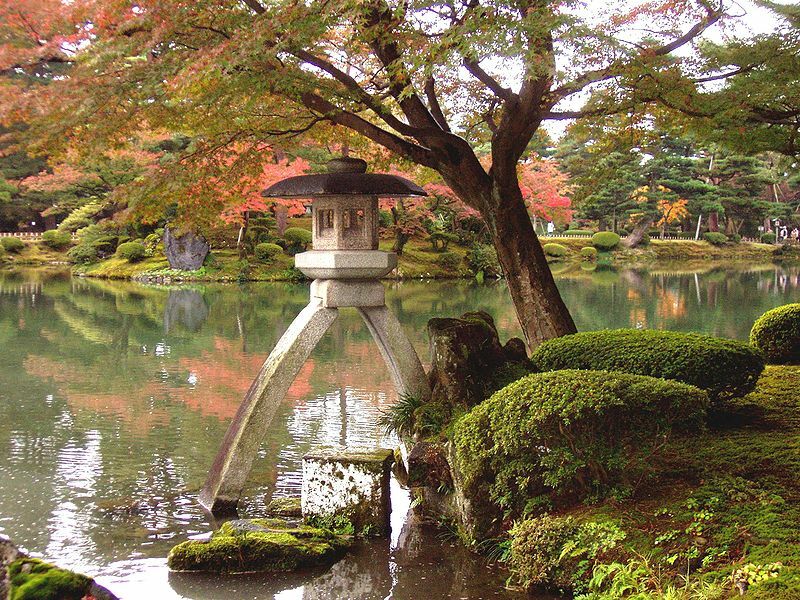 Visit the meticulously tended Kenrokuen Garden, where you can take lunch in a traditional tea house, seated on tatami mats. Or, you may wish to explore the Myoryuji Ninja Temple, which includes trick doors, secret passages, and hiding places that the feudal lord could use if disturbed while praying. The avid foodie will appreciate a trip to the Omicho Market, where one can shop for produce and fresh seafood or dine at authentic sushi restaurants. This market offers an unobstructed taste of Japanese culture, as it is designed for local shoppers rather than tourists. Of course, nothing compares to a relaxing dip in one of the many onsen accessible from the Thunderbird route. These natural hot springs are utilized by tourists and residents alike as a venue to relax, unwind, and ponder the wonders of the natural world. Riding the Thunderbird will allow you to make day trips to any of these locations from Osaka, by taking the early train and returning on a late train. Alternatively, you may decide to stay overnight and extend your visit to this lovely area of western Japan, perhaps exploring the rugged, mountainous beauty of the Japan Alps. For example, the Takama-ga-hara Onsen, located in the Northern Japan Alps of Central Honshu, requires a full day’s hike to reach, but visitors say it is well worth the effort.